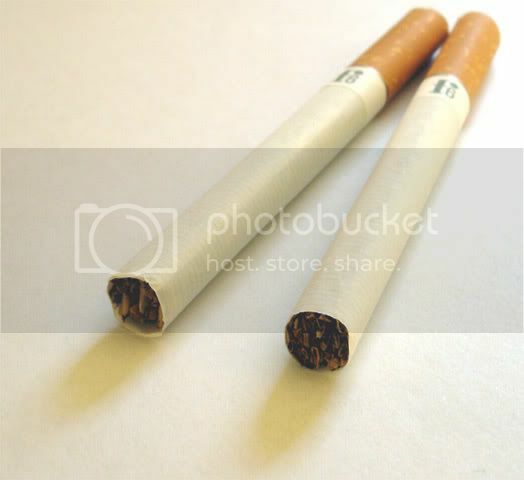 Likesay there was a chap on The Show this morning who smokes 100 ciggies a day. Respect! Only problem is his lungs are fucked. Well that and an anual cost of about 7000 UKP. Which no dout keeps the tobbaco corporations happy.